Sanjay Goel, Director of the DoE, said that they will wait for private schools to release their first list of general category students which is scheduled for February 4, 2019, before releasing the EWS/DG candidates’ list. 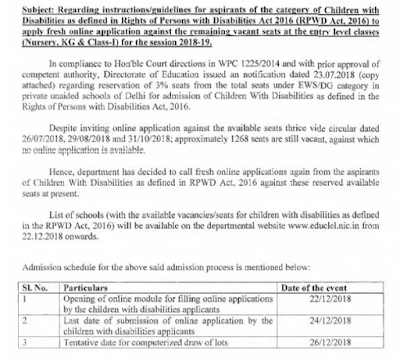 Delhi’s directorate of education (DoE) will announce the schedule and guidelines for nursery admission to around 1,700 private unaided and recognised schools under the economically weaker sections and disadvantaged groups (EWS/DG) category in the first week of January. “The notification for EWS/DG admissions is likely to be announced around January 5. There is no point of releasing the notification earlier because private schools will admit general category and EWS/DG students in 3:1 ratio. If we release the selected list of EWS/DG students before the schools release the general category lists, the students will be put on the waitlist,” he said. As per the right to education (RTE) Act, 25% seats in entry level classes-- nursery, kindergarten (KG) and Class 1---are reserved for the EWS/DG category candidates in all private schools, excluding the minority institutions. Children whose parents earn lower than Rs 1 lakh a year can apply for admission under the category. According to officials at the DoE, the department is yet to collect the data on exact number of available EWS/DG seats in private schools across the city. “The deputy district educations (DDEs) officers are assigned this duty. The directorate of education director had also asked officers of all 13 districts to speed up the process,” said an official. Last year, the directorate of education had announced admissions on 48,122 seats reserved under the EWS/DG category. However, around 13,000 seats were lying vacant till October. The DoE did not disclose the updated data after that. The admission on these reserved seats is carry out by the DoE centrally. The parents have to fill the forms online after which the directorate of education conduct a computerized lottery to allot seats to the candidates. (a) Ration Card/Smart Card Issued in the name of parents (Mother/Father having name of child). (d) Electricity bill/MTNL telephone bill/Water bill/Passport in the name of any of the parents or child. No oral test or interviews or discussions can be conducted by any school with kids or with parents. The nursery admissions take place through a point system. All the Private Unaided Recognized Schools uploading their criteria adopted (including points for each criterion) for admission, You can check the points for schools near you by clinking on this link. The word of caution from UIDAI comes at a time when admissions to nursery and entry-level classes have just begun in over 1,500 private schools in Delhi. However, there have been reports of certain schools insisting on Aadhaar as one of the documents required for admission. 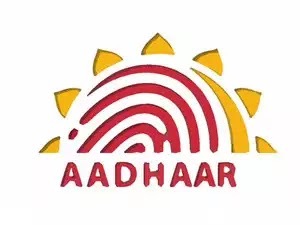 The Unique Identification Authority of India (UIDAI) has said it is aware of the reports that some schools are asking for Aadhaar cards for student admission. There schools (out of total 105 that were issued notice), are yet to make their Criteria and Points available online. DOE has issued a fresh updated declaring that special 1268 seats are open for grab under DG category, as they could not be filled from last session. Here is the copy of the notice issued. Are schools going to block seats under management quota? 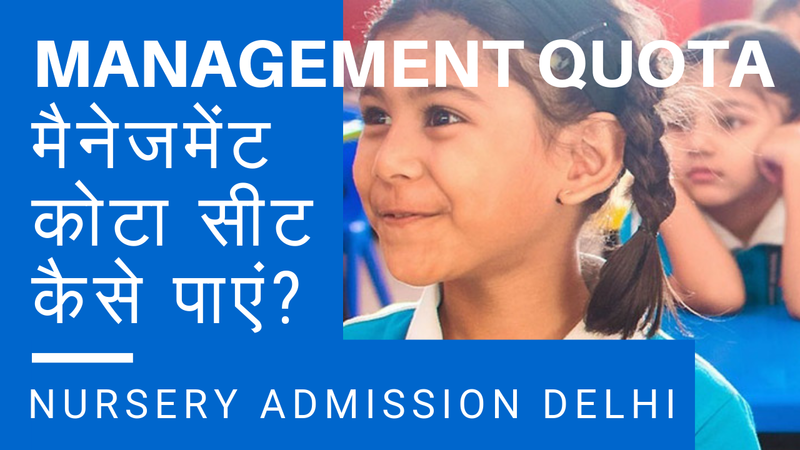 If yes, how many and what is the procedure to get a seat under management quota? 25% seats are reserved for EWS and DG categories (and admission for those seats will be handled by DOE itself), that is for families that belong to Economically Weaker Section, Disadvantaged Group. I personally feel, that's a lot of seats - probably 15% would have been more reasonable, is n't it? Well that means, roughly 55% seats would be up for grabs through standard process for general category families. How do you get yourself considered for a seat under management quota? What if an agent approaches you with offer? Well stay away from that, a lot of people are cheated every year by such means. Nursery Admissions in Delhi for session 2019-20 will start with the schools uploading the criteria and their points on Directorate's website www.edudel.nic.in on 14th Dec.2018. Here is the complete schedule.